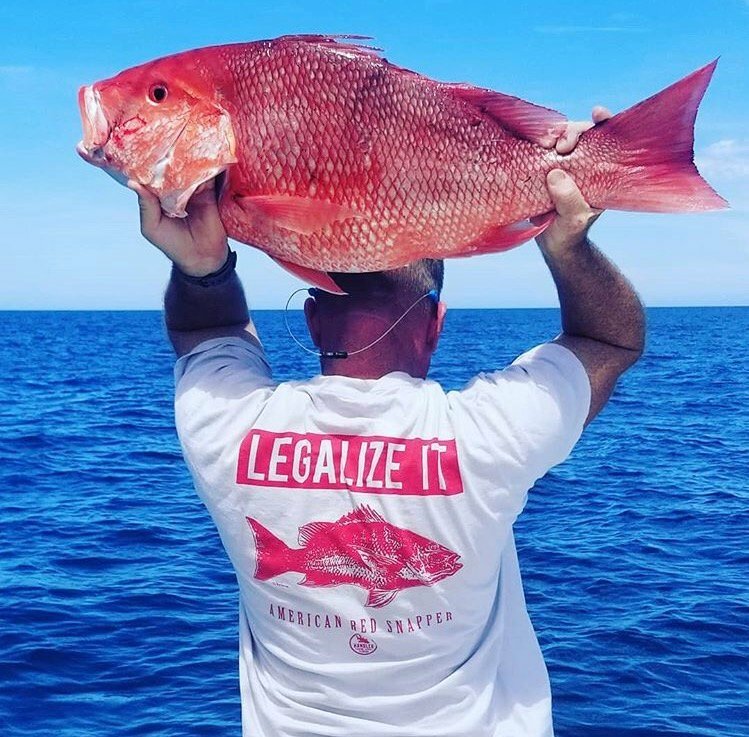 ‘LEGALIZE IT!’ Red Snapper shirts are in stock! Just in time for the holidays!! Our great friend, and amazing artist Derek Redwine came up with a doodle that turned into one of the coolest shirts we’ve ever had!! We have them is several colors and styles, and plenty in stock! They make a great gift for your favorite fisherman!! Daiwa Saltiga quickly gains the respect of anglers as a serious reel. 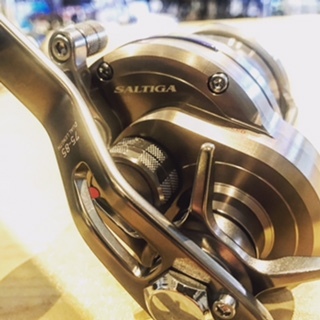 Daiwa recently introduced the new Saltiga and did one of the coolest things they have done in a while by offering the two largests of the reels in two different gear ratios!! We have long been saying that slightly slower reels have much more power when dealing with big, tough fish on heavy braided line. With a super smooth drag and an ergonomic handle, the Daiwa Saltiga 40 and 50 have been the hot choice among anglers this season. Come by today and check out these powerhouse reels! 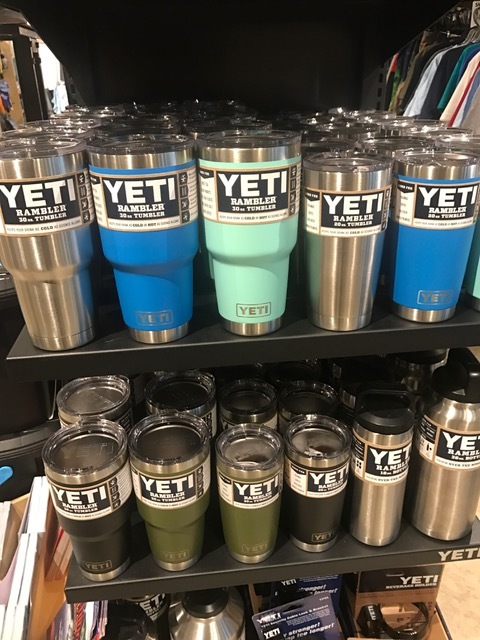 Yeti Cups, Ramblers, Mugs, Colsters, Stainless, or a whole slew of other names that they have, are the one of the coolest developments to drinkware in a long time! We have them in a variety of colors and sizes! 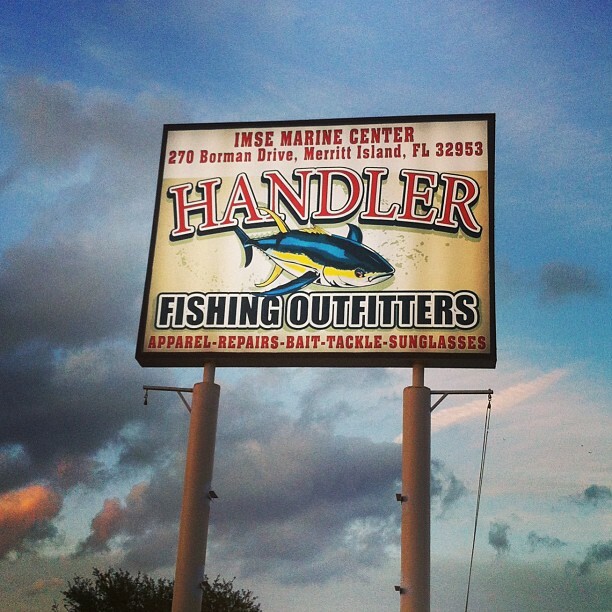 Handler Fishing Supply in Merritt Island, is FULLY STOCKED!!! Handler Fishing Supply is a full service bait and tackle store that specializes in outfitting, repairs, and custom rods. Located in Merritt Island, Florida, we are here to help you get the right fishing tackle for the type of fishing you do. Originally from Port Canaveral, Handler Fishing Supply decided to move to Merritt Island to better serve its customers in the area. Carrying brand name products from: Costa del Mar, Shimano, Penn, Crowder, Redbone, Eagle Claw, Seaguar, Fishworks, Aftco, Go Pro, Reef, Abu Garcia, Braid, Boone, Reaction Innovations, Hooked, Fish Skinz, Guy Harvey, Fishworks, Aftco, Daiwa, Pelagic,Calcutta, Zoom, Heddon, Sebile, Owner, Mustad and many more!! !